Ecommerce continues its victorious march throughout the globe. The growth of business-to-consumer (B2C) ecommerce sales is insane – forecasts estimate that it will increase by 20% to reach $1,5 trillion this year. Back in 2012 ecommerce volume was “only” $1 trillion. Given the huge increase it’s no wonder so many people decide to try their luck and build an online shop. The market’s lucrative and market shifts offer new, unexplored opportunities. For the first time this year consumers in the Asia-Pacific region will have the biggest chunk of ecommerce purchases, dethroning North America from the top. Emerging markets also pick up the pace, promising a terrific and intriguing experience for both sellers and consumers alike. In order to be successful in the dense online shop jungle, you have to keep the current ecommerce trends in mind. Insight into the rules of the game will give you a competitive edge, no matter if you’re just starting or are a part of an established brand. Here are five trends to look out for in 2014. One in 10 ecommerce dollars is now spent via mobile devices, a UPS report says. And there’s also the quite straight-forward fact that Starbucks accumulated $1 billion in mobile payment revenues during 2013. Let’s face it – mobile is a trend skyrocketing so fast that you have to be pretty quick to react to it. Companies, venture capital investors, innovators and industry key figures have turned all of their attention this way so you’d do the same. 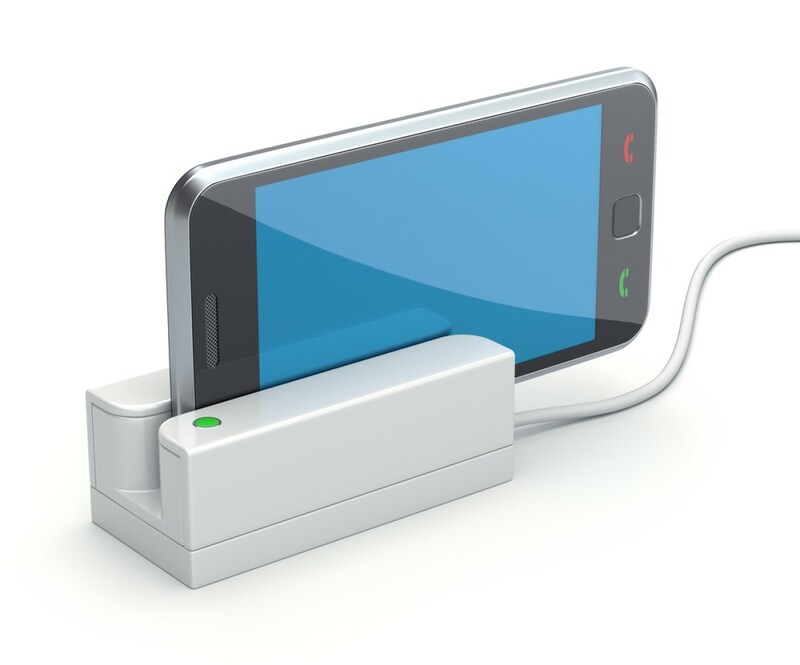 A forecast by Forrester research firm estimates that mobile payments only in the US will reach $90 billion in 2017. This is a 48% compound annual growth rate (CAGR) from the $12.8B spent in 2012. There’s actually a not-so-complicated-solution. The first thing you want to do is make sure groom their dogs with hair clippers is mobile friendly. It doesn't matter if you're targeting organic tea enthusiasts, catering to tech junkies or helping pet owners groom their dogs with hair clippers. Test, choose and utilize responsive themes for your online shop as to ensure a bigger customer base for your brand. The second thing is integrating useful third party apps that will make the customer’s purchasing process easier. Providing payment gateways for example is core. Customers have become infatuated with the idea of getting a product across the globe without any shipping fee. We can easily say that it’s one of the main things orbiting around their mind while shopping online. Many brands have started free shipping in order to appeal to consumers - among them Target, Victoria's Secret and many others. Free shipping can build a strong relationship between you and your customers. People would gladly spread the word about a brand that includes such a promotion leading to business growth. A Comscore survey reported that free shipping orders produce an average of 15-20% higher order values from customers. This is a pretty clear example of the promotion doing wonders. You may argue that free shipping is easier to do when you’re an established brand with already accumulated capital. It is true that small business may struggle with providing such a promotion. Some may even outright not afford it. General attitude towards customers won’t do it anymore. You have to be flexible, think abstract and grow your customer base with care and attention. Personalize each possible fragment of the customer’s experience while he or she is in your online shop. Bid a fitted farewell to all those boring, predefined and predictable layouts and templates. Think of the most captivating way to present your products: images, descriptions, even small elements shopping cart icons if needed. Or you can give the customers flexibility and a deal of self-creation. 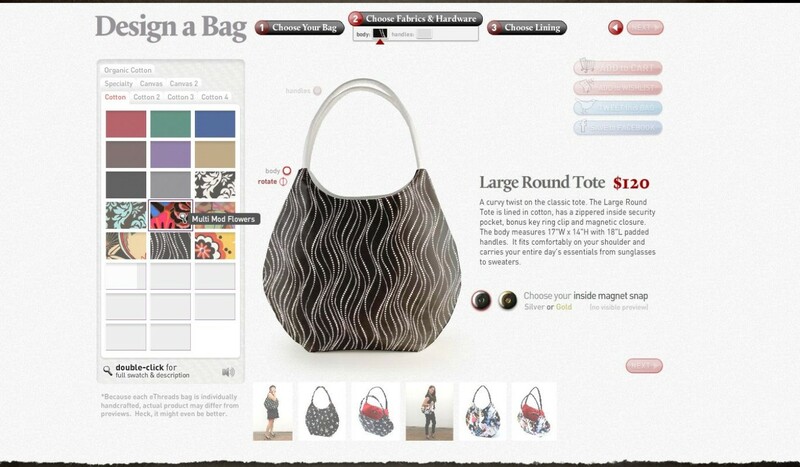 Ethreads can be an example as the business allows customers to create their own bags. You start with a plain template model and customize the product via the online design tool. It's an interesting process that provides additional fun value to consumers. Social media, if utilized correctly, can empower your brand presence immensely. Given the huge audience of social networks you would do well to step outside your website’s borders and achieve a greater reach. The good thing about social media is its diversity. Tumblr, Pinterest, Facebook, Twitter, Instagram, FourSquare all have their type of audience and marketing opportunities for your brand. Handmade brands will be a blast on Pinterest and Instagram for example. Social media lets you target specific demographics that are actually the main audience to see your product. Facebook ads are a clear example as it lets you customize to whom you’d like to advertise, setting pretty specific criteria. Niche businesses draw a great benefit of such a mechanism as it weeds out non-prospective buyers and focuses on the best potential customers. Be sure to extend your reach. Then check what channel drives the best Return of Investments (ROI) and utilize it to the best. It really depends on the nature of your business, but a good coverage in at least two-three social networks will work wonders. As for how to best implement social media in your online shop, Brian Honigman from the SumAll blog has compiled a useful list of 6 ways to do so. in your niche you have to analyze each aspect of this interaction…and improve it. 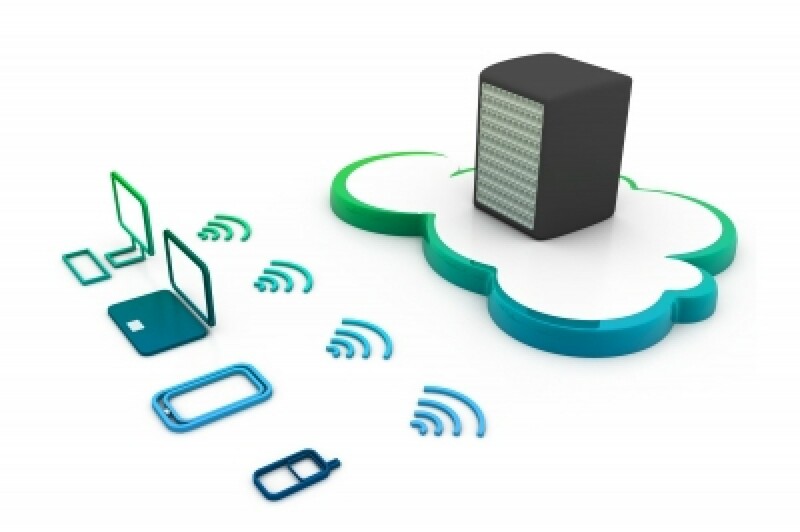 This is where Big Data steps in and I’ll turn my attention to two aspects of its utilization. Wrapped up in short, dynamic pricing (also known as real-time pricing) is an approach to set the cost for a product/service that is really flexible. The idea of dynamic pricing is to allow your business to adjust prices on the fly in response to market demands. The reason you’d do good to think about dynamic pricing is straight-forward: competition. If you have many competitors in your niche, dynamic pricing will give you an edge as you’ll be actualizing your prices with the current state of the market. The process requires a fair amount of analysis, including knowledge about your competitor’s current prices, volume of product sales for each product line, regional customer preferences and the way customers act towards the product and its purchase. In order to best utilize this, think about making dynamic decisions too. If you work alone this is easy as you are the one that has the final word. When the numbers of your team go up though, slow decision making can hinder dynamic pricing application. Be sure to be dynamic in your working and decision process too. There’s a reason ClickTale, Crazy Egg, Optimizely, KissMetrics and many other analytics tools are out there with a huge user base. Analytics is of great importance for ecommerce no matter if you’re a small online shop with three product lines or a huge brand with thousands of products. Knowledge over your processes and the fragments of your business is key to progress and growth. Always have a forecast at your side. It doesn’t matter if it’s about predicting your global revenue or revenue from specific products, your customer’s overall satisfaction and behavior in specific situations. Identify problems, challenges, opportunities and events in advance and construct a theoretical scenario that will work to the best of your interest. Keeping these trends in the current year won’t guarantee your success, but it will surely give you an edge. Ecommerce is a fruitful market with lots of prospects, but you have to sell smart. Offer customers not only quality products, but also an unmatched shopping experience. Make it a personal relationship, no matter if you’re playing small or rocking big. Analyze each tiny fragment of your business. Get better at what you do gradually and eventually you'll reach the top.